Hi, I’m Shaun Budde and welcome to my dream….Kickapoo Wild Adventures!! The idea for Kickapoo Wild Adventures has been 13 years in the making. It all started the summer after my junior year of high school. I took a job at one of the local canoe rentals that summer and myself and two of my best friends had the time of our life working there. I would always joke around saying how great it would be to have our own canoe rental. After high school I moved to Janesville and took a job at a local factory. 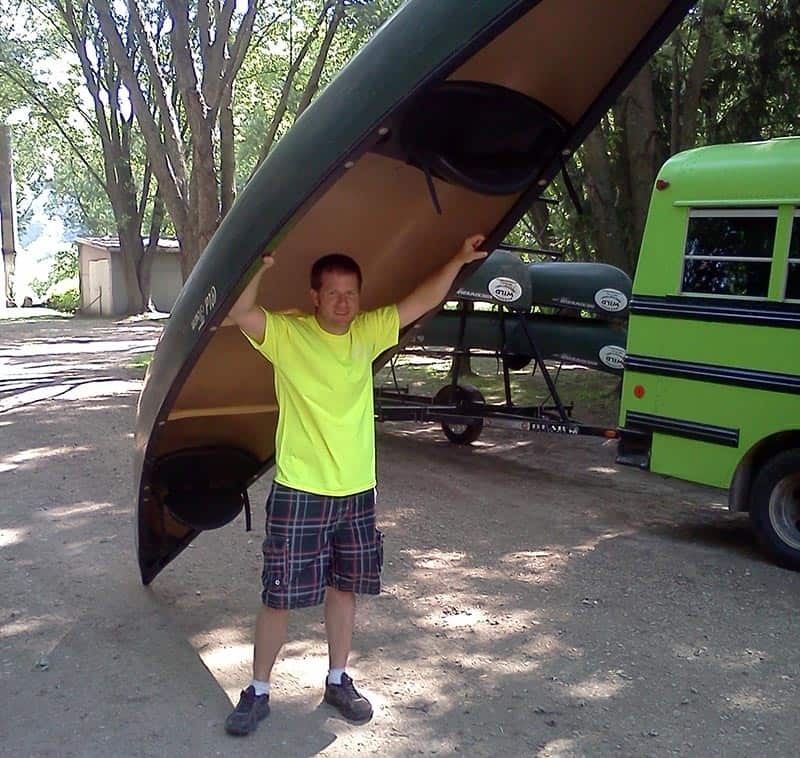 Over the next 9 years the the idea of owning a canoe rental would come and go, but in the summer of 2007 I wasn’t able to shake the idea off anymore and began to seriously think about making it happen. I then spent the next two years researching equipment and trying to find the perfect location to make this all come to life. It felt like I would hit roadblock after roadblock and I was laid off when my work closed their doors in 2008. Fortunately, I was given the opportunity to go back to school, which I took full advantage of and received an associate’s degree in business management. In 2009 I came across the perfect location just outside of my home town of Ontario, WI. It went up for auction in November that same year and luckily I ended up being the highest bidder. In May 2010 I graduated from college, sold my house, and moved back to Ontario. Kickapoo Wild Adventures opened July 1st 2010!! Over the past many summers I’ve continued to grow Kickapoo Wild Adventures into something very special. I have no plans of slowing down and will continue to grow and improve as the years go by. Thanks for reading. Hope to see you soon! !